Baron performed on Show 337 in York, PA on April 15, 2017. 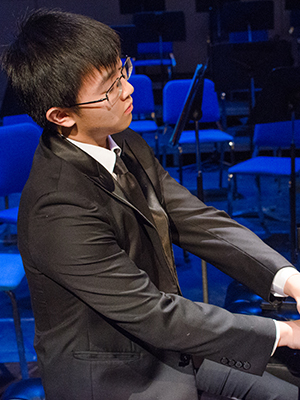 Baron Cao (piano), 16, is from State College, Pennsylvania where he is a sophomore at State College Area High School and studies with Dea Baba. His favorite musical experiences include being a prizewinner of the 2015 and 2016 Arthur Fraser International Piano Competition as well as participating in the Southeastern Piano Festival. Outside of music, Baron pursues science and history, watching NBA games, and telling bad jokes.